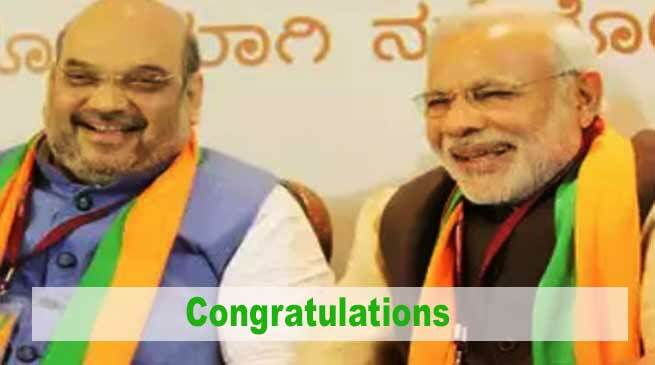 Chief Minister Pema Khandu has conveyed his congratulations to BJP National President Amit Shah, Prime Minister Narendra Modi and all BJP workers for the landmark success in the Karnataka Assembly polls. “It is no mean feat that BJP has emerged as the single largest party in a state ruled by the Congress. This proves people’s faith and confidence on the Party and the leadership of Prime Minister Narendra Modi,” Khandu said in a statement here this evening. The Chief Minister, who had predicted a BJP victory in Karnataka during the just concluded BJP State Executive Meeting at Ziro a couple of days ago, observed that continuous BJP victories in Assembly elections across the country has reinforced the changed mindset of the people, who have witnessed a sea change in governance during the last four years under Modi compared to more than 50 years of Congress rule. “The trend is encouraging, which confirms the connect of youths with the Prime Minister, as our youths constitute 70 percent of our electorates today,” Khandu, youngest chief minister in the country, pointed. “The country looks up to Prime Minister Narendra Modi and BJP to take it forward with more vigor post 2019!” he added.